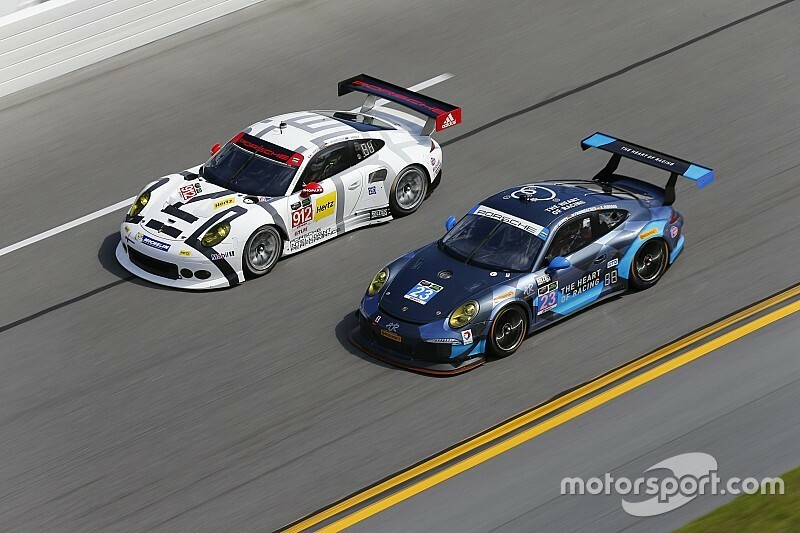 Job cements relationship with Porsche, and wins TUDOR Championship race today. DETROIT, Michigan -- Alex Job Racing began in Job's two-car garage at home, when Porsche wasn't selling customer cars. That was in 1988 -- the hobby turned into a business in 1990 when he started racing full-time, and he and his wife Holly moved into their first commercial warehouse in 1991. Since then, almost always affiliated with Porsche, Job and his crew have won twice in their class in Le Mans, 10 times at Sebring, twice at the Rolex 24 Hours at Daytona, and multiple season championships. 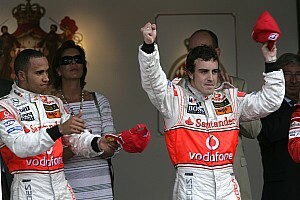 And the team won today, in the No. 23 Team Seattle/Alex Job Racing Porsche 911 GT America with drivers Mario Farnbacher and Ian James in the Chevrolet Sports Car Classix TUDOR United SportsCar Championship race at Belle Isle in Detroit. So it was appropriate that the team announced at Detroit that it would buy the first two new Porsche GT3 cars for North American competition. 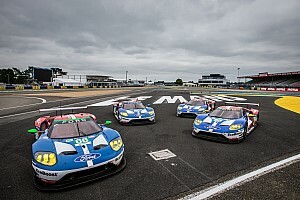 The car was introduced to much fanfare and media acclaim on May 15 during the famed 24-hour race at Germany’s Nürburgring circuit, and soon the first two orders came to Porsche Motorsport North America (PMNA) via longtime Porsche preparer Alex Job Racing. 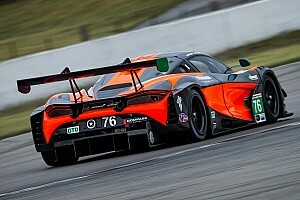 Job placed the orders on behalf of WeatherTech Racing and Team Seattle, while announcing their plans to return to the TUDOR United Sports Car Championship for 2016 – the first to do so. As for the current 911 GT America cars, Job said they would be likely sold to club racers. WeatherTech-owner David MacNeil has signed his name for one of the racer cars for use in 2016. The familiar white and black WeatherTech livery on the No. 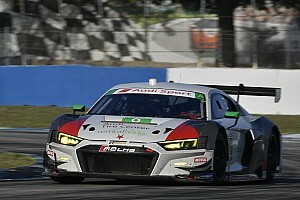 22 AJR entry of Cooper MacNeil and Leh Keen will race in the TUDOR United SportsCar Championship GT Daytona (GTD) class. Team Seattle owner Gabe Newell, who also uses the Florida-based racing team to prepare his No. 23 GTD class entry for drivers Ian James (Phoenix, Arizona) and Mario Farnbacher (Germany), has laid claim to another 911 GT3 R slated for delivery to these shores. According to Porsche: Based on the Porsche 911 GT3 RS production sports car, the purpose-built 911 GT3 R develops more than 500 horsepower. Special attention has been paid to lightweight design, better aerodynamic efficiency, reducing consumption, improving handling and further optimizing safety as well as lowering service and spare parts costs with the car. Adopted from its production sibling, the 911 GT3 R features the distinctive double-bubble roof and the lengthened wheelbase, when compared to the previous generation 911 road-going car. This helps balancing weight distribution and helps create predictable handling particularly in fast corners in comparison to the preceding GT3 R. By applying systematic lightweight solutions for the body, add-on parts, and suspension, the engineers significantly optimized the center of gravity position of the GT3 R compared to the earlier model. The lightweight body design of the 911 GT3 RS production sports car featuring intelligent aluminum-steel composite construction has proven to be the ideal basis for the race car. 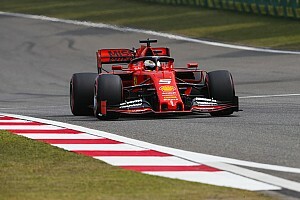 The roof, front cover and fairing, wheel arches, doors, side and tail sections as well as the rear cover are made of particularly light carbon-fiber composite material (CFRP). All windows – and for the first time even the windshield – consist of polycarbonate. Powering the new 911 GT3 R is a cutting-edge four-liter flat-six unit which is mainly identical to the high-performance production engine of the road-legal 911 GT3 RS. Direct Fuel Injection as well as variable valve timing technology ensure the optimized use of fuel. Moreover, the normally aspirated engine offers significantly better drivability and a broader usable rev range. Power from the rear engine is transferred to the 12.2-inch rear wheels via a Porsche sequential six-speed constant-mesh gearbox. As in the GT road-going models of the 911, the driver changes gears via shift paddles conveniently positioned on the steering wheel. The new Porsche 911 GT3 R, priced at $495,000 plus transport, import and tax, is expected to make its worldwide racing debut at the Rolex 24 At Daytona on January 30-31 in the GTD class. In North America, the car is also eligible to compete in the Pirelli World Challenge (PWC) GT and GT Amateur (GTA) classes as well as the newly announced Sprint-X GT Championship for next race season. TUDOR teams can expect delivery late this calendar year while PWC operations will see their first cars early in 2016. Said Scott Atherton, IMSA President: "Alex Job Racing has been a Porsche stalwart for many years, so it’s only fitting that this is the first team to announce plans to field a pair of the breathtaking new Porsche 911 GT3 Rs in the TUDOR United SportsCar Championship. Both the WeatherTech and Team Seattle programs have established themselves as world class over the years, and we expect that will continue for many more years. On behalf of IMSA, I extend my congratulations to Jens Walther, Alex Job, David MacNeil, Gabe Newell and all involved in this fantastic project."